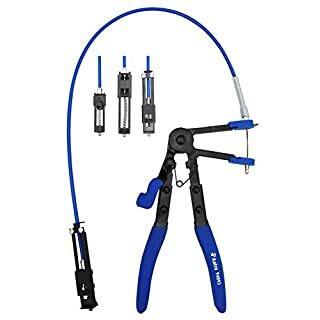 The Astro 94093 Multi-Cable Hose Clamp Pliers feature 3 cables and 4 different jaw types and sizes for the most commonly used automotive tension hose clamps. This unit includes the standard jaws from Astro's 9409A, extra large and small jaws, and Click-R clamp jaws. This tool easily allows the user to switch out of the cable and jaw designs in between different applications. 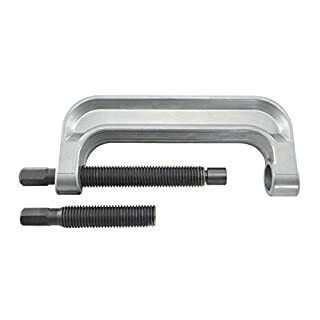 The Astro 78935 Universal Fuel tank Lock wrench is designed to remove tank locking rings on fuel senders for many 2004 and newer vehicles. 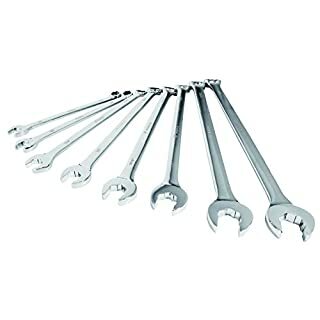 This wrench can also be applied to GM/Chrysler/Dodge, Ford, BMW, Hyundai, Jaguar, Mercedes, Nissan, Subaru, SAAB, Volvo and more. This wrench spans 7" and has a 3 point engagement with a 1/2" Drive for use with a ratchet or breaker bar. 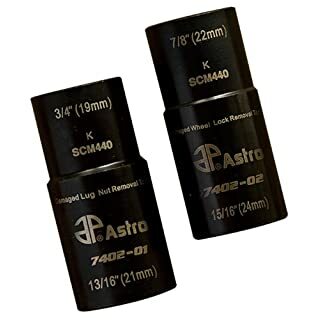 The Astro 1450 13" Plus nut and extra-long rivet nut setter kit Metric & SAE is designed for setting bulbed plusnut's, longer than standard rivet nuts and even standard rivet nuts. 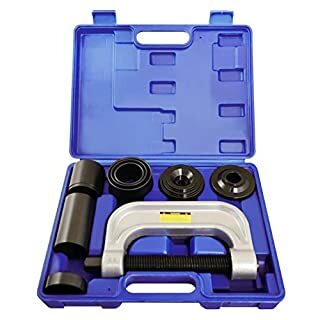 This kit features the market's most popular rivet nut setting tool (astro's 1442), which has been adapted for plus nut and long rivet nut use. The kit includes 9 SAE and metric sizes: 10-32, 10-24, 1/4-20, 5/16-18, 3/8-16, M5, M6, M8 & M10. 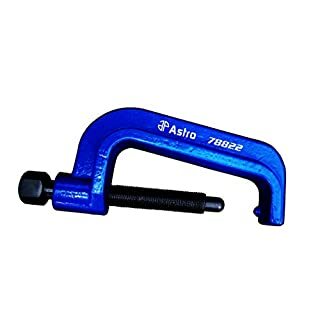 The Astro 78822 GM Heavy Duty Torsion Bar Unloading Tool is used to service torsion arms and front suspensions on many 2010 and older GM which include GMC and Oldsmobiles. This tool is made out of forged alloy designed with a 1" He drive bolt.. 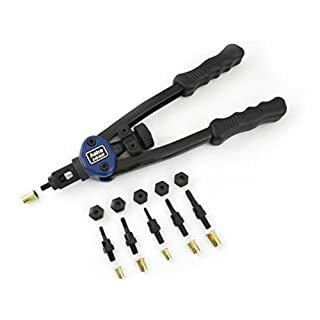 The Astro 9479 6-Piece Professional Deutsch Ratcheting Crimping Tool Set comes with an adjustable ratcheting Crimper with a Quick Change interchangeable jaw design that easily crimps terminals and insulation in one step. 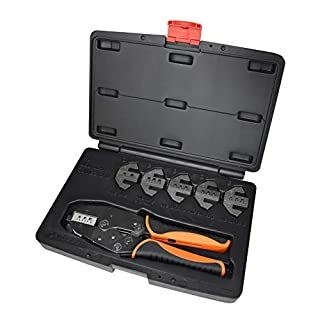 This set includes jaws for 10~20 AWG deutsch connectors including: size 12 (dtp), size 16 (dt) and size 20 (dtm). The Astro 78100 Goliath Ball Joint XL C-Frame Press boasts three times the throat space and features a notched foot that allows for the pressing out of ball joints without the removal of the top mount grease fittings. The large ball joint Press in this unit is for maximum clearance and for the effortless use of the tall and stacked adapters. The unit includes both long and short drive screws to maintain a shorter overall working length when desired. 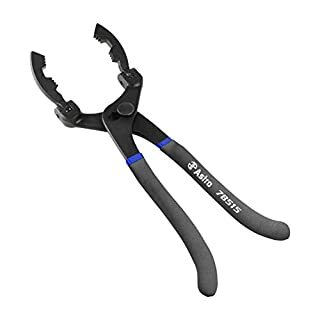 The Astro 78515 Adjustable Angle Oil Filter Pliers boast adjustable angle jaws that allow for multiple points of access with indents every 30 degrees for a total adjustment of 180 degrees. 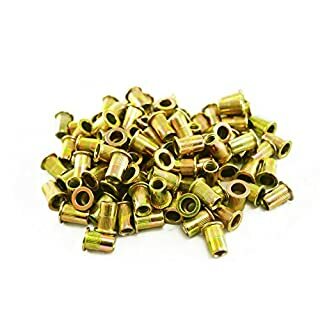 The precision cut teeth are arranged in a Tried-And-True design to easily and securely bite into metal filter housings. 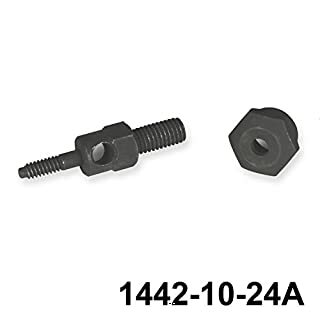 The slip-joint handles allow for a wide variety of oil and fuel filter sizes ranging from 2-1/4" to 4-3/4". 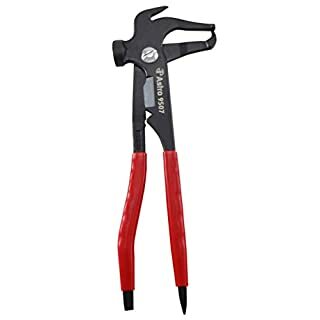 The Astro 9507 Wheel Weight Balance Hammer Pliers are made from precision forged Cr-V and feature a hidden spring mechanism. 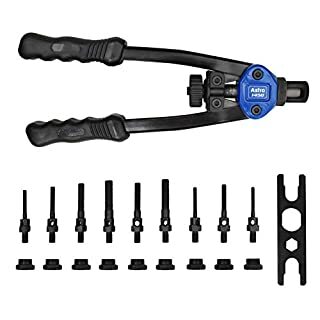 The ten inch 7-IN-1 design allows for this unit to be used for the following applications: hammer for clip on weights, pry tool for straightening wheel lips, removal pliers, Cutter for adhesive weights, Crimper for tightening clips on weight tabs, tapered punch for broken valve stems, and a lever/Scraper. 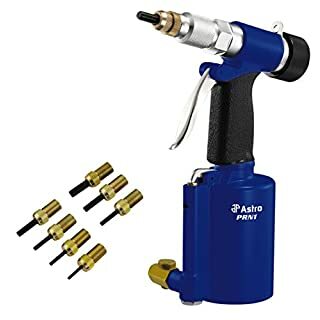 The Astro 9025 3" Wire Wheel Hand Brush w/ Interchangeable Head is perfect for cleaning welding beads and slag on sheet metal by using the popular 3" wire brush design, which is now adapted for hand brush use. This unit now lasts longer by just rotating and retightening the wheel when wire bristles wear or flatten. 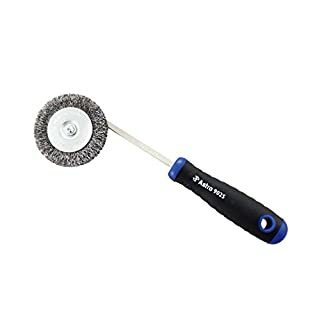 Easily replace the brush when fully worn with any common 3" wire brush wheel. -Entfernt verrostet und korrodierte Teile. Set besteht aus: C-Gestell-Presse, 3 Receiver-Rohren 2-3/4 \"x 3\", 2-1/4 \"x 2-1/2\" und 1-3/4 \"x 2\" und die Installation und Entfernen von Adaptern. Die Schwerlast-Werkzeug-Set eignet sich hervorragend f-r den Aus-und Einbau von Press-Fit Teile wie Kugelgelenke, Kardangelenk und Lkw-Bremse Ankerstifte f-r 2WD und 4WD Fahrzeuge. 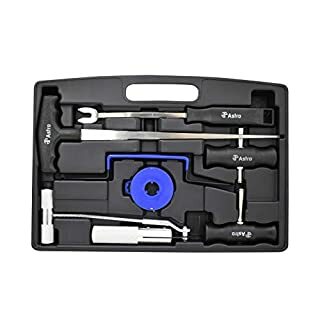 Dimension: 10.6 \"W x 13.75\" L x 2,75 \"H.
The Astro 45070 7pcs Windshield Molding Removal Tool Set includes all of the specialized tools required to safely and quickly remove windshields for a large variety of vehicles. For proper hand removal of sealed glass, this unit contains a rubber gasket knife, wire feeder tool, cutting wire and two handles. 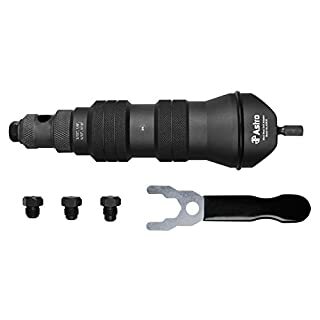 The included trim pad remover and molding release tool in this set prevents the Windshield surroundings from damaging. Set includes: 1pc. Rubber gasket knife, 1pc. 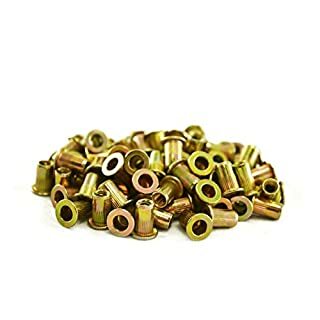 Cutting wire, 2pc. Handles, 1pc. 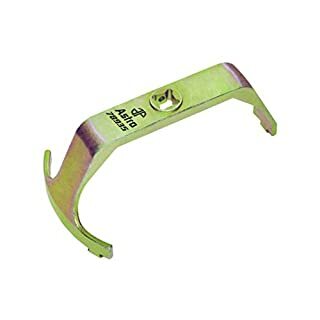 Wire feeder tool, 1pc. Trim pad remover, 1pc. Molding release tool.